If the week has got you down, this list might help lift your spirits. We looked at all the positive, inspiring, and amusing stories that made the headlines over the last few days and put them all into one list. It goes well with a side of quirkiness. There are a few tales to get you in the festive spirit this week. There are also a few that might tug at your heartstrings. Of course, we also have a few stories to counteract all the mushiness. We read about an engineer who used his skills to get revenge on package thieves. We learn about how barbershops can improve men’s health and also debate what the best Christmas movie of all time is. The excellent condition of the plumage allowed for an in-depth analysis of their structure. Scientists came to the conclusion that the feathers could have served as an ancient decoy and would have fallen off if a predator had grabbed them, similar to certain extant lizards which can lose and then regrow their tails. The feathers came from birds from the Cretaceous period. They were long feathers that extended from the tail known as “tail streamers.” Plenty of modern birds have them—like the peacock, for example. They use tail streamers in courtship displays, so it was assumed that ancient birds did the same. However, this new study suggests that they might have had a more practical purpose. Previously, almost all samples of primordial feathers were squished flat so it was impossible to obtain an accurate 3-D image of them. 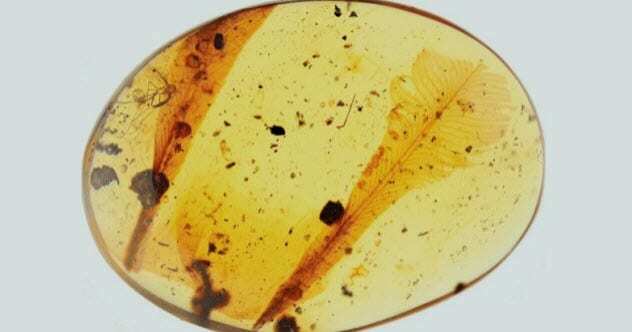 These feathers preserved in amber maintained their dimensions. Scientists discovered that they had an extremely thin central shaft known as a rachis with far fewer barbs than expected. In other words, the feathers were intended to fall off easily and could be replaced with minimum energy costs. Moreover, they were muted in color, which goes against the idea that they were used to attract females. The team is led by Chinese scientist Lida Xing from the China University of Geosciences in Beijing. She is the same paleontologist who made waves in 2016 when she discovered a dinosaur tail with feathers preserved in amber while browsing the markets of Myanmar. People receive a lot of packages this time of year, and more than a few of them get stolen. Thieves casually stroll through neighborhoods during the day and spot which houses have parcels sitting on the porch. Then they simply walk up to the front door and steal the packages. This can be very frustrating as Mark Rober found out for himself. Even though he had video footage of the thief, police still refused to do anything because the result would not have been worth the effort. However, Rober is a skilled engineer who constructs a lot of cool stuff for his YouTube channel. He also worked at NASA JPL for nine years, so he knows how to build a better mousetrap. Or, more aptly, a better thief trap. A video of Rober building a glitter/fart bomb and unleashing it on unsuspecting thieves went viral and garnered over 25 million views in just a few days. The device was disguised as a package. Thieves tend to poach parcels without looking at what they are taking. If they glanced at the label, they might have noticed that the package was coming from Kevin McCallister of Home Alone fame and was being delivered to Harry and Marv on 321 Wet Bandit Way. The “bomb” activated when it was taken out of its box. First, it blew glitter everywhere and then squirted fart spray. The whole thing was filmed by four mobile phones hidden inside, and a GPS tracker allowed Rober to recover the device after the sparkly, stinky thieves threw it away. 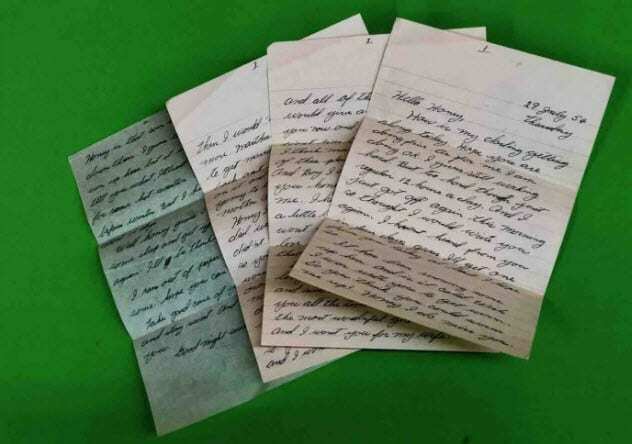 A man unexpectedly recovered a love letter from the 1950s which detailed the budding romance between his grandparents. On July 30, 1954, US military serviceman Max Holcomb wrote a letter to his sweetheart, Martha Young. In 2018, that letter was somehow found on the floor of the Walmart in Dalton, Georgia. The staff became enthralled with this love story. Employee Jennifer Hendrix thought it would be a nice gesture to track down Max and Martha and return their possession. Unfortunately, both had died. But their grandson Jason Holcomb was still around and was quite shocked when he heard from Hendrix. In the letter, Max tells Martha that he will be returning home in 15 days and plans to ask her parents for Martha’s hand in marriage. The Walmart employees were eager to find out more details about the 64-year-old romance. Initially, Max had to bribe Martha’s father with candy to meet his daughter. Max and Martha went on their first date at an ice cream parlor. They did, indeed, get married in August 1954 when Max returned from the military. An elderly man with not long to live bought 14 years worth of Christmas presents for his neighbors’ young daughter. Two years ago, Ken moved to Barry, Vale of Glamorgan, Wales. He lived near Owen and Caroline Williams who had their daughter, Cadi, around the same time that their new neighbor showed up. Ken was in his late eighties and in poor health, but his last few years were made exceptionally better thanks to his new friendship with the Williams family. He was particularly close to Cadi, and the couple said the elderly neighbor “doted” on her. Ken died recently, but he made sure that Cadi would remember him as she grows up. On Monday evening, his daughter rang the doorbell of the Williamses’ house. She was clutching a big sack, and Owen initially thought it was a rubbish bag that she would ask them to throw out. The sack actually contained gifts for Cadi—one for each Christmas for the next 14 years. They opened one present, and it was a children’s book. The Williamses aren’t sure yet what to do with the rest. Since Ken didn’t leave a specific request, they might open them sooner so that Cadi doesn’t outgrow her presents. The dancing dad who won over the Internet with the performance he put on for his sick son announced that the infant is now cancer free and will go home for the holidays. Back in July, Kennith Thomas showed off his dance moves to cheer up his son Kristian. The 14-month-old toddler had spent over 30 days in the hospital and underwent chemotherapy to treat his acute megakaryoblastic leukemia (AMKL). Kennith’s wife, Josilyne, filmed the cute encounter and posted it online where it garnered millions of views. A new study published in the journal Circulation from the American Heart Association suggests that pharmacists can improve the heart health of men by working out of barbershops. The novel healthcare initiative is based on the concept that people are more receptive to medical advice when they are in a friendly, familiar environment. To that end, pharmacists have spent the last 12 months working out of 52 barbershops throughout Los Angeles County. Customers would come in for a trim but also get their blood pressure monitored and have medication prescribed or adjusted. This study enlisted 319 black men because they are one of the most at-risk demographics for hypertension and high blood pressure. The first study which came out of this experiment was published at the six-month mark. It found that this approach was effective at lowering blood pressure, and the trial was continued to see how sustainable it is. Now, after a full year, researchers from the Smidt Heart Institute report that the reduction has been maintained and, in some cases, even improved despite fewer visits to the barbershop pharmacist. 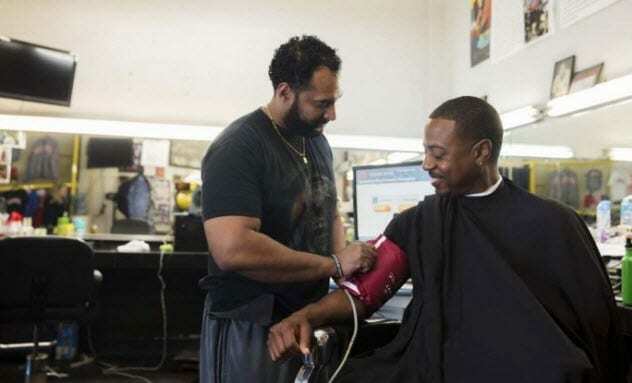 The new goal for researchers is to identify the best and most cost-effective ways of broadening the healthcare services offered at barbershops as well as implementing the approach outside of Los Angeles County. The power of rock helped bring a daughter and her deaf father closer together after a video went viral which showed her signing to him during a Three Days Grace concert. The rock group held a performance in Edmonton, Alberta, Canada, last week which was attended by 19-year-old Kari Carberry and her father, Darrin. According to Kari, her dad was born deaf but wears a hearing aid in one ear. This allows him some hearing but not enough that he could distinguish the lyrics at a rock concert. Fortunately, Kari was there to help him out. A video taken by another concertgoer named Jules Maria showed the daughter signing the lyrics of “Just Like You” so that her dad could enjoy the song, too. Maria described the footage as “mesmerizing,” and plenty of other people seemed to agree with her. In less than a week, the video garnered over 14 million views. Kari noticed various people filming her during the concert, but she didn’t mind. She was enjoying the moment with her dad. They plan to attend more shows together in the future. At the moment, Kari’s top choices are Metallica, Theory of a Deadman, and Nickelback. 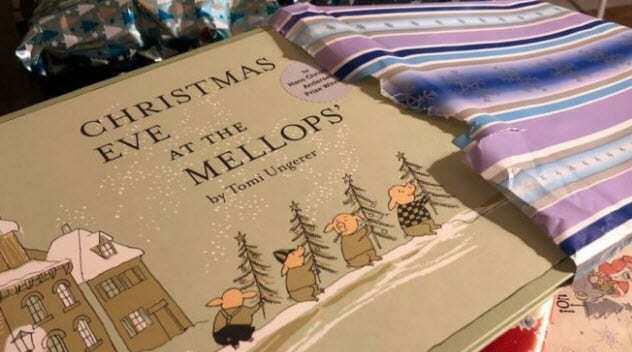 A Secret Santa, who hands out money to strangers every year, is back to spread some Christmas cheer and has enlisted the aid of an unlikely elf. 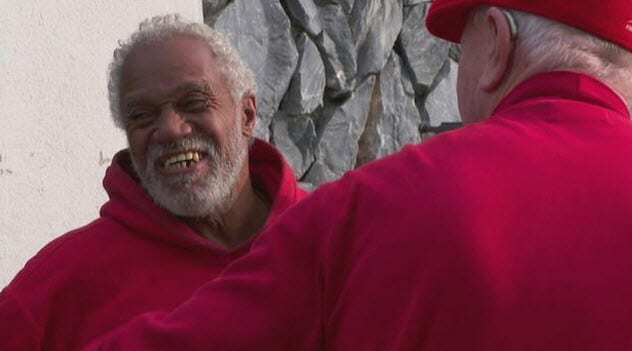 This year, homeless man Moses Elder was his helper. He rewarded the generosity of passersby who gave him change by gifting them $100 bills in return. This isn’t the first time that the Secret Santa has made the news. He is a wealthy, anonymous businessman who travels the country and doles out money to people he finds in need. When he was in Phoenix, Arizona, this year, he gave Moses $3,000 with instructions to distribute it however he saw fit. Moses could have run away with the money. He is homeless, and the cash would surely have made a difference for him this holiday season. Instead, he decided to spread the Christmas cheer around. He gave away most of the money to people who put change in his cup. Moses gave $500 to a homeless mother of five and another $400 to a man he knew from church. His own generosity and honesty were rewarded by the Secret Santa afterward. 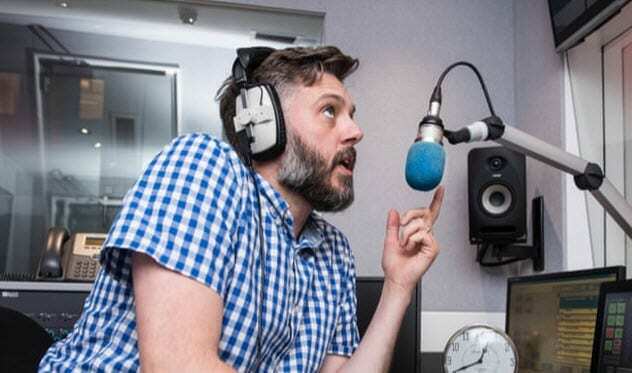 English radio host Iain Lee kept a suicidal man on the line for half an hour while emergency services tracked him down after the caller revealed that he had taken a drug overdose. Unfortunately, depression is common during the holiday season. TalkRadio host Iain Lee knows that better than most as he had struggled with mental health problems in the past. That’s why he was determined to save a suicidal man known only as “Chris” who called his late-night show. At first, it seemed like the fight was over before it had even started. Chris revealed that he had already taken a cocktail of drugs. But Lee kept him talking and kept on asking questions. This was so that Chris would stay conscious as long as possible, but Lee also wanted to find out details about Chris’s whereabouts and his appearance. Lee found out that Chris was almost 60 and was calling from near a nightclub in Plymouth. Meanwhile, his producer contacted emergency services and was relaying information as it came. There were scary moments when Chris would go silent for minutes at a time. After almost half an hour, police confirmed to the show that the ambulance had found the man still alive, treated him at the scene, and taken him to the hospital. At that point, Lee could be heard on air breaking down in tears. He was later commended by Devon and Cornwall police for his efforts. 1 What Will You Be Watching This Christmas? Christmas is nearly here, and more than a few of us are likely to sit down in front of the television and watch a movie or two. If you’re looking for recommendations, the Radio Times recently polled 7,000 people in Britain to find out which are the most popular festive flicks of all time. We all have our own opinions about which Christmas movie is the best ever made. (It’s Die Hard, by the way.) The British public has a fondness for the 1946 classic It’s A Wonderful Life, which claimed the top spot in the poll. It was followed by the Will Ferrell comedy Elf and The Muppet Christmas Carol. Rounding out the top five were the romantic comedy Love Actually and the shenanigans of Kevin McCallister in Home Alone. The action flick Die Hard grabbed the sixth spot. It always starts a debate about whether the film should be considered a genuine Christmas movie or not. While it does take place on Christmas Eve, an off-duty cop foiling a terrorist plot isn’t the most festive story in the world. Also of note is the classic Charles Dickens’s tale A Christmas Carol which is the basis for no less than four movies that made the top 20. They are the aforementioned Muppets’ version, a 1951 adaptation called Scrooge, a 1984 made-for-TV movie starring George C. Scott and the ’80s comedy Scrooged starring Bill Murray. Read more uplifting stories you might have missed from http://listverse.com/2018/12/16/10-uplifting-stories-to-get-you-through-the-week-12-16-18/“>December 16, 2018, and http://listverse.com/2018/12/09/10-uplifting-stories-to-get-you-through-the-week-12-9-18/“>December 9, 2018.